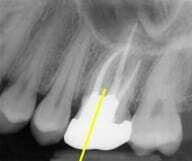 In this endodontic case, by West-side endodontics Clinic, New Mexico. 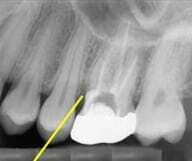 Both Dr. John Harmon & Dr. Melissa Harmon provided us with this dental case, explaining the method to perforation Repair due to internal resorption. 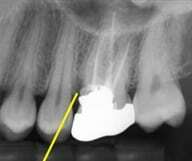 Below is the tooth #14 suffering with Perforation. If you faced the same case, what or how would you treat it?